Jordan is one of the most fascinating and clean cities in the entire Middle East and its capital is Amman, which features numerous tourist attractions like old Roman theater, an ancient Citadel, an archaeological museum, and numerous dazzling shopping malls to grab the attention of the tourists. The extensive list of sightseeing destinations that meet up your expectations with flying colors. Jordan is surrounded by Syria in the north, Iraq in the northeast, Saudi Arabia in the east and south, and Israel in the west, and it also shares the coastlines of the Dead Sea with Israel and the Gulf of Aqaba with Israel, Saudi Arabia, and Egypt. The ideal season to visit the country is spring or autumn, as during this season the tourists don’t face either the scorching heat of the sun or the freezing winds of winter. They can take part in various outdoor activities and catch a real glimpse of the country. The premier sightseeing destinations predominantly comprise of Amman, Petra, Jerash, Irbid, Aqaba, Al-Mrrajam, Wadi rum, Ajlun, Rum, Umm Qais, Iraq al amir, and Karak. 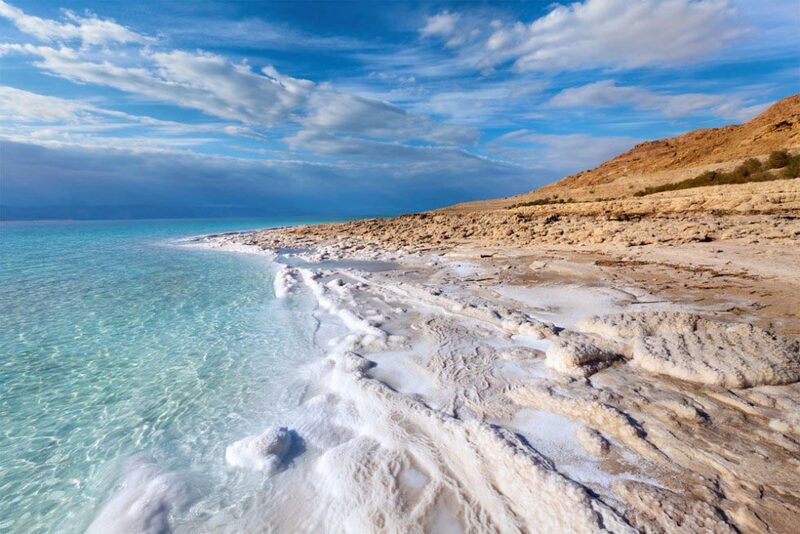 Other significant highlights for the tourists include Jordan River and Dead Sea, the lowest point on Earth. This country in the Middle East is comparatively small in size. The transportation network is quite appreciating and gives a lot of choice to get in. The tourists can avail from the number of world class airlines serving three quality airports of Jordan. Apart from the Queen Alia International Airport, Jordan has two other international airports viz., the Marka International Airport in East Amman and the King Hussein International Airport in Aqaba. The Amman International Airport has direct flights from many of the major cities of the Middle East like Beirut, Cairo, Damascus, etc. Royal Jordanian Airlines is the national airlines of Jordan. Along with that Jordan is served by a number of foreign carriers, which includes British Airways, Air France, Lufthansa, and Egyptair, etc. You may even reach via trains. There are trains twice a week from Damascus (Syria) to Amman. Trains connect from Damascus at the Mahatta junction to the Marka International Airport in Amman. If you are arriving from the neighboring countries of Israel, Syria, Iraq and Saudi Arabia, you are welcome to avail the car facilities to Jordan. From Israel the visitors can get into Jordan by car. The main crossings are at King Hussein Bridge. The Syrians can take long distance taxis from Damascus to Amman. Although it is not much comfortable, yet it is cheap and takes around 3.5 hours to get into Jordan. You may also choose to travel to Jordan from Saudi Arabia by bus. The trip can take anywhere between 3 to 20 hours. Long distance bus services operate from a number of Middle Eastern destinations like, Tel Aviv, and Damascus, etc., which promises a swift and a comfortable journey. This cheap mode of transport may not provide a good amount of comfort. Jordan is served by both ferries and speedboats. The Egyptians can easily have a direct access to the port of Aqaba from the port of Nuweiba. Ferry charges somewhere around $30 and around $60 for the speedboat except the Egyptians (They are not required to pay the extra added charges). The trip to Jordan by ferry might take up to 8 hours. There is a wide range of options for the travelers within the country. Jordan with an area of 92,300 sq km has an extensive network of roads. The highway accounts for 8,000 km, which are all paved. The visitors find it easy to access to different parts of the country by air, although the only domestic route in Jordan is between the cities of Amman and Aqaba. The travelers can also choose from the bus, car, taxi, and other local modes of transport available to make it convenient for the tourists to reach to their favored destinations. While you are roaming in the country, the efficient transport system assures you of a safe and cheap journey across the country. The JETT bus company connects with the places like Amman, Aqaba, the King Hussein Bridge, and Hammamat Ma’in. Private buses are available for those willing to visit Amman, Irbid, and Aqaba. Minibus services can also be availed by the tourists, although they are generally irregular and connect with the small towns of the country. The taxis operate in the main cities. This mode of transport is more expensive than the bus service, but they are a better traveling option in terms of swiftness and comfort. The yellow-colored regular taxis are available in plenty in most of the places of the country. The charges can be negotiated if the taxi does not have a meter. The visitors can find a reliable driver with the help of the Hotel reception desk. This is basically a convenient mode of transport, which can take you to your destination. Owing to smooth national highways in Jordan, renting a car is a wholesome option. Sometimes the visitors might witness careless drivers and un-repaired vehicles, so it is better to avoid driving outside the capital, Amman, after dark. As the fuel price is quite low, you can have a great time driving. The Desert Highway, which connects Aqaba, Ma’an, Amman, is the commonly used road by the visitors. If you consider the area of the country, it is much smaller than the other most attractive countries of the world. But, once you get the touch of Jordan soil under your feet, you realize that the country has a galore of fun and beauty to share with you. This landlocked country of the Middle East has all the ingredients for the tourists to drench themselves in entertainment. The best way to seek entertainment in Jordan is to visit some of the ancient architectures and the beautiful cliffs. 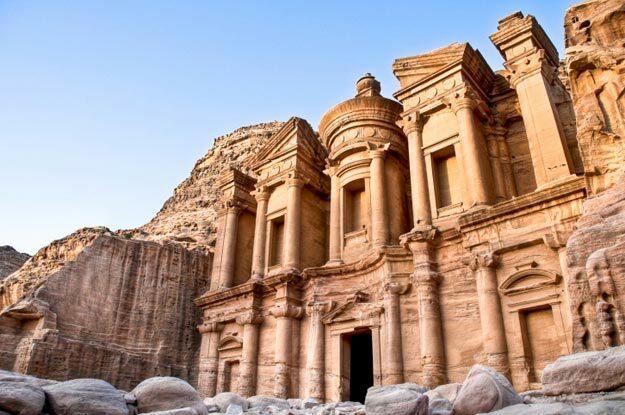 It is advisable to visit the places like Jerash (one of the largest Roman ruins in the Middle East), Madaba (renowned for its mosaic map of Jerusalem), Wadi Rum (a barren, isolated and beautiful, granite cliffs contrasting with desert sand), Dead Sea, etc. The tourists will easily get a grasp of the natural and artistic beauty that Jordan possesses. Apart from these favored tourist destinations, there are some notable places where the visitors must pay a visit. Petra, the city of Jordan can be a major element leisure in Jordan. This great attraction of Jordan is an ancient city which was completely carved out of sandstone. The ancient architectures found in this region are mesmerizing and obviously makes you engrossed. The Dana Nature Reserve gives you the privilege of hiking in an offshoot of the Great Rift. Keeping aside the natural beauty, Jordan is rich in the fields of art, music, and entertainment. Do not forget to have a glimpse of the brilliant artistic displays in the museums. The music of Jordan is soothing and melodious. In addition to these, some noteworthy places to enjoy in Jordan are Wadi Rum desert, which is full of mountains and hills located south of Jordan. It is popular for its sights along with a variety of sports that are practiced there, such as rock-climbing. The tourists can spend their leisure time in the capital city of Amman, which has lots of shopping malls, shopping centers, hotels, and an ancient Roman amphitheater.